The worlds most popular, cross-platform Instant Messenger app Whatsapp. Has undergone drastic up-gradation and changes over the past years. It Begins as a small start-up and now Facebook owned Whatsapp has revolutionized the way we socialize online. Again, Whatsapp has got something new for us. As in the latest beta update brings new feature to the Whatsapp. With which you can now preview the YouTube videos In-App. It is to be noted that, the latest beta version 2.17.40 is for iOS platform. So, Android users have to wait until testing is completed. 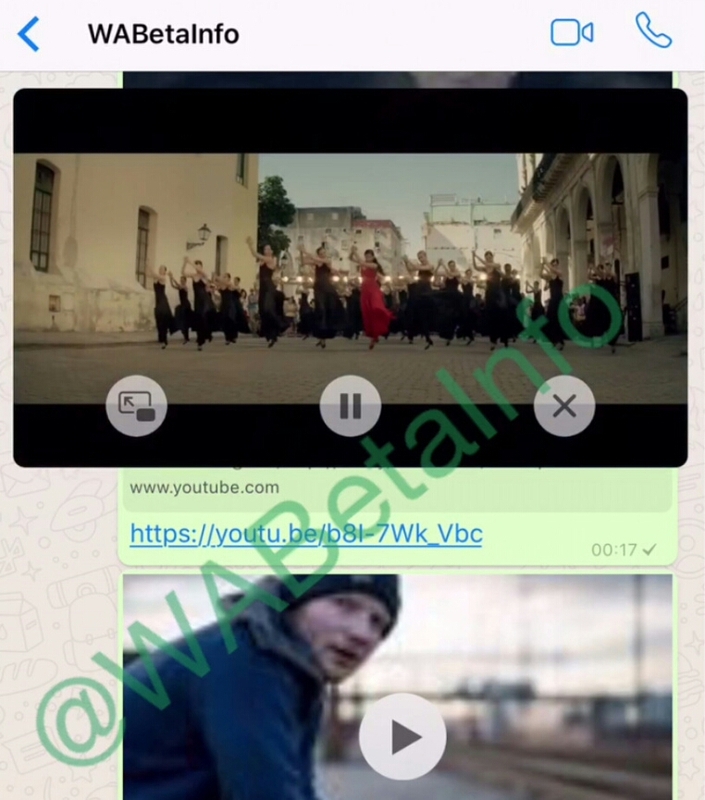 Usually, Whatsapp beta tests new feature initially in iOS devices. Also, only iPhone6 and above users are currently eligible. Now, enjoy youtube video links without opening the Browser or Youtube app. Preview videos as Picture-in-Picture view or in Fullscreen Mode. As far as Android users are considered, they have to wait. Unless nothing bad happens in the testing phase. The feature will be soon hitting stable app for both iOS and Android users. By the way, Whatsapp with its ever advancing features. Users are more forced to stick on to the app. With every upgrade increasing the utility of Whatsapp. In all aspects, it continues to rule the Instant Messaging space. Note 8 Not To launch On September, Early Release Expected.